There are lots of advantages to e-readers, from storage space to practical convenience, but you still have to stock them with books to use them. 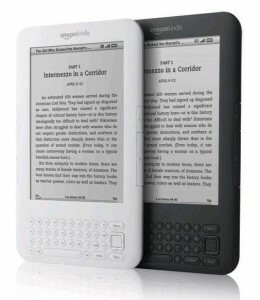 With both ebook prices and quality varying a great deal these days, it can be hard to decide where to spend your money. But The Christian Science Monitor has decided to point out 28 really great books you can read for free. From Amazon to Barnes and Noble, searches can pull up all kinds of bargains on recognizable, quality titles. But what better way to start your e-library than with books known to be high quality at no cost? Often described as a romance novel, Heights is story of Heathcliff, a rather strange child who is adopted by a family and is later made to be their servant. Jilted by a lover, he runs away and later returns, having obtained wealth and refinement. He also has a burning desire for revenge and to destroy both of the families he believes has done wrong by him. The tale of Pip, an orphaned child who climbs up and down the social ladder of Georgian England, the book covers family loyalty, coming of age, a few nice action scenes, and the really memorable characters Dickens is known for. A true classic of Western literature and a great addition to anyone’s library, e or paper. Dickens’ legal drama exposes how painfully the wheels of justice can turn and how some court cases can drastically affect the lives of many. Although its pace slows as Dickens explains specifics of how the law worked at the time in England, its many subplots are all tied together by a painful and dramatic trial, making for a fascinating read. Thoreau’s thoughts on the value of solitude and self-reliance, recorded as he spent two years living in a self-made cabin on Walden Pond. A thought-provoking book on what it means to be an independent and self-reliant person, Walden also offers some great tales of independence and nature. One of my all time favorite novels, this is swashbuckling action adventure at its best, filled with double crosses, fights, romance, and humor. There have been countless film adaptations and sequels to this but it remains a classic of great fun, a compelling read. Also one of my personal favorites, the basis of a popular musical and numerous movies, it’s about a person growing, changing, maturing, and developing a strong sense of right and wrong. The evolution of Jean Valjean from the beginning to the end of this book, along with his interactions of people of various moralities, is simply wonderful to read. There are about a dozen deeply memorable characters in this novel who will stick with you for a long time. Wilde can’t write a novel without incorporating humor, but this horror story offers a lot of thoughtful darkness in its exploration of the public face people use to conceal their inner demons. This tells the tale of Siddhartha, a man who simply wants to understand how life works. He starts off being an ascetic in that he gives up worldly possessions, but eventually he moves on from there through various stages and eventually reaches some powerful conclusions about life. In 2007, Time declared this to be the greatest novel ever written and many others have agreed. Oprah also picked it for her book club. Providing a vast panorama of contemporary life in Russia and of humanity in general, Tolstoy creates some of the most memorable characters in literature. Anna is a sophisticated woman who abandons her empty existence as the wife of Karenin and turns to Count Vronsky to fulfill her passionate nature – with tragic consequences. Tolstoy offers no moral, instead inviting us to not judge but watch. A must read. A classic collection of poetry, the favorite of many, it includes countless great poems, including the amazing I Sing the Body Electric. If you read only one book of poetry in your life, make it this one. An amazing story about an individual driven to madness by the darkness of the Congowilderness and the darkness of the reality of European colonialism of Africa. Marlow’s discovery of Kurtz after a long ride up the river is just chilling. The book was re-made into the powerful film Apocalypse Now and has inspired countless others. Endlessly retold in movies, this classic tale is not just a romance but also examines upbringing, morality, education, gender, and marriage in upper middle class England in the early 19th century. Filled with great observations and some very strong characters, the book is rightly considered a classic and well worth a read. A a powerful novel of self-reliance and adventure in which man survives for twenty eight years on a tropical island, surviving cannibals and attacks by mutineers while also building some semblance of a life for himself. Made famous in Disney films, the book is an examination of man’s will to survive and determination to overcome any obstacles. Inspiring read. Criticized by some for its stark pictures of prejudices and education in 19th century, middle America, those features are also what makes this classic adventure story stand out. Twain examines how Huck Finn largely ignores society’s ideas of right and wrong to do what he thinks is the right thing and does this over and over again, leading to endless problems with polite society. The end result is a heartwarming, touching and powerful classic must read novel. The wonderful telling of the story of a truly amazing life also provides a great record of an absolutely vital early American, while remaining quite fun to read. Franklin’s varied and impressive life and accomplishments continue to inspire, while his wisdom and voice speak as strongly to contemporary minds as they did to those of his day. A harrowing story set in a meat-packing plant around the turn of the twentieth century, this tale of workers and the work they do will both shock you and make you want to investigate where your food comes from. The novel ended up having an enormous impact on the food industry in the early twentieth century. And it continues to resonate today. One of Twain’s funnest novels, a mix of science fiction, fantasy, and alternate history, it examines what happens if you take a very intelligent modern man and drop him into King Arthur’s world? Written with the thoughtfulness and humor Twain is known for, the book is a great adventure tale and enjoyable escape. Must read. One of the father’s of modern science fiction, Wells asks, in this oft retold tale, what sort of evil things might you do if you were invisible? And what does that say about the person that you actually are? A true classic which has inspired both films and imitators. Somewhat a sequel to 20,000 Leagues Under the Sea, you don’t really need to have read the first novel to enjoy it. Several people become shipwrecked on a strange island where things don’t always happen as you might expect them to. Classic Verne which improves on the first book and is a classic of both literature and early science fiction/steampunk. A very entertaining fictionalization of what people in the late 19th century believed that travel to the moon would actually be like, the novel imagines a “space race” of sorts, with an individual overcoming all kinds of obstacles to develop and build a device to launch a man to the moon. Verne and Wells, as mentioned, are two fathers of science fiction and the popular subgenre steampunk of today. In a book somewher between science fiction and horror, Doctor Moreau lives on a strange island where he creates sentient beings by combining the parts of various animals. Asking ethical questions while examining issues of pain in the name of progress as well as animal cruelty, the novel still packs a strong tale. Incredibly funny while making fun of society as a whole, particularly the hypocrisy of people willing to elevate themselves by walking over others, the story winds up offering an intriguing murder mystery that may have you arguing with friends or fellow readers for years to come. One of the funnest memoirs you’ll ever read, Roughing It chronicles Twains years spent in the wild West. A great adventure story that reveals much about history and the real wild west, its filled with Twain’s humerous anecdotes and iconic characters he encounters along the way. A must read for history buffs especially. Fun adventure, vibrant and yet realistic, with slightly dated language, the story overflows with knights, chivalry and Robin Hood-like adventures. Classic escapism. A Must read. A powerful treatise on morality and examinations of right and wrong based on objective truth, not the ideas of society around us, this classic is a call to determine our morals based on what we know is true less than by peer pressure or what we’re told. A classic of philosophy and self-examination. Set during the French-Indian War of the 1750s, this classic adventure is the best of Cooper’s similar themed novels. A classic about indians, soldiers, and war, it’s a fascinating study of both culture, history, and the quest for survival. Stross has released his 2005 science fiction novel as a free e-book for anyone. A series of nine somewhat interconnected short stories about a family before, during, and after a technological singularity, a merging of man and machine for a level of superintelligence that neither could achieve on their own, it’s thought-provoking and enjoyable at the same time. A 2007 novel about how four teens respond to a terrorist attack on SanFrancisco, the novel examines a struggle to maintain civil rights in the face of government crackdown as the Department of Homeland Security tries to regain control. The protagonists often utilize technology in inventive ways in their fight. Along with Stross, great modern science fiction reads at a bargain price.